IDF mum on Iron Dome deployment along border, as Israel braces for possible retaliation from Hezbollah for airstrikes. The IDF has raised the terror alert level on Israel's border with Syria in the Golan Heights, foreign media reported Monday night, after the IAF reportedly attacked a Syrian military target Sunday. 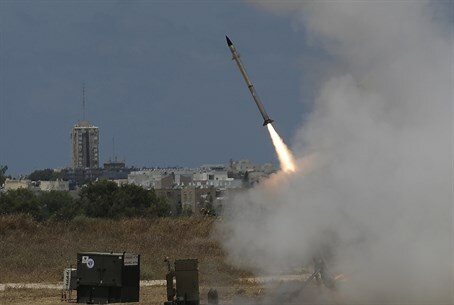 Several "Iron Dome" missile defense batteries have been deployed along the border, ahead of possible attacks from both government and rebel groups in Syria, according to Sky News. The IDF has refused to comment on the reports, as per its policy of ignoring foreign media reports.